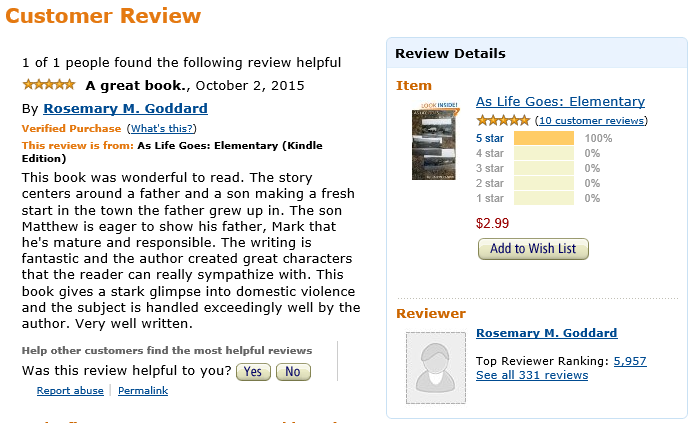 Sales for “As Life Goes: Elementary” are increasing and I am finally getting some reviews. 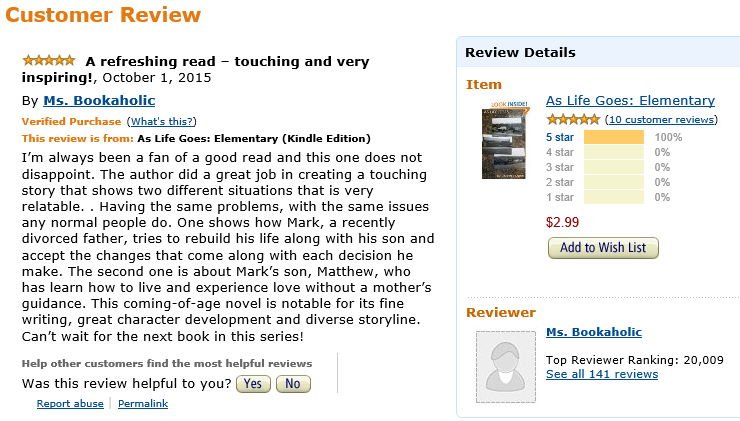 Sales for “As Life Goes: Elementary” are picking up and the timing is perfect. 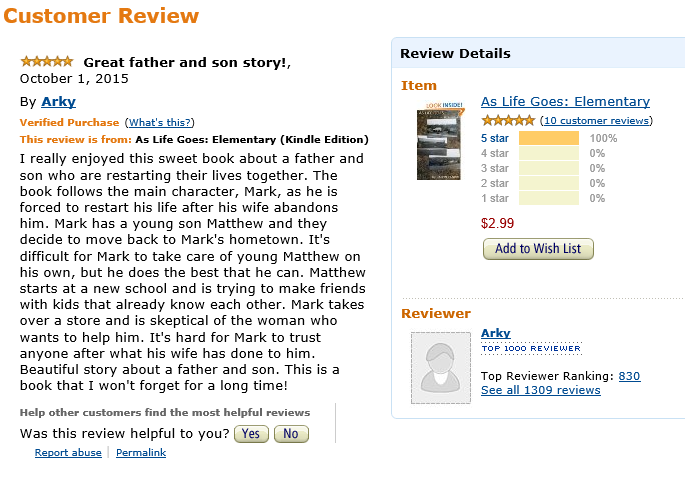 Great father and son story! A refreshing read – touching and very inspiring! Psychology Professor Sheridan Hendley is the main character in this murder mystery. The story begins with the murder of Dr. Adam Millberg, a member of the psychology department, just before the semester starts. There is the possibility that one of her friends might be arrested as a suspect and that motivates some of Sheridan’s actions, with the whole psychology department under scrutiny. With information becoming available during the initial investigation, it becomes apparent that the dead psychology professor was of questionable character and there was more than one person with possible motive or intent. The story is told from her point of view and shows Sheridan’s attempts to piece together what happened using her own psychology skills. She tries to identify those that are plainly innocent, but then works through others with questionable or possible motives. Because there is more to police work than the psychology side, her efforts are not totally successful on their own, but it does get her involved with the investigation. The local police begin the handling of the murder until Detective Brett McMann from the state police arrives and assumes control which causes resistance between Detective McMann and the local police. Sheridan is assigned to show the detective around the campus and introduce him to all the members of her department which mainly serves to get her fully thrust into the thick of things. A small romance between Sheridan and Brett becomes a secondary theme to the story. It is done in a fitting manner, which adds rather than detracts to the story (as some romances into story-lines sometimes seem forced for the sake of just having them there – not the case in this situation). The overall story has good pacing; it never seems to drag and the characters are realistic and believable. 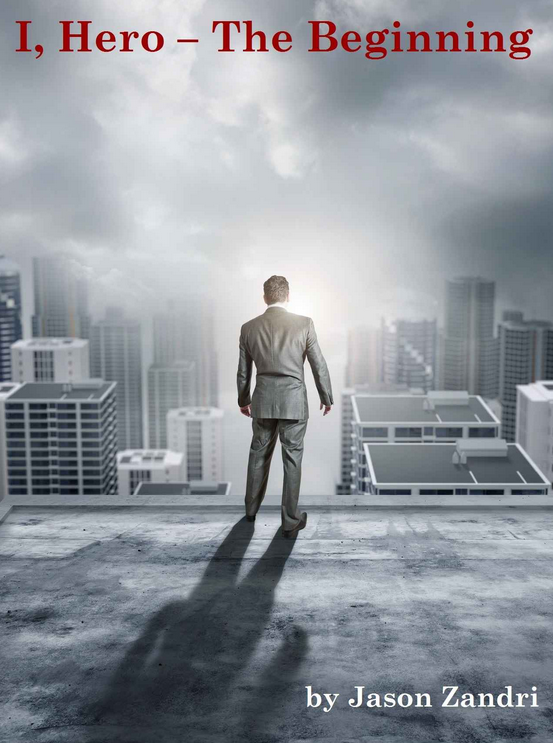 There are small twists to the plot that make it an engaging read. The story is complete but the characters continue in the second book in the series, “Murder in the Arboretum” (there was a sample chapter at the end of the Kindle e-book). 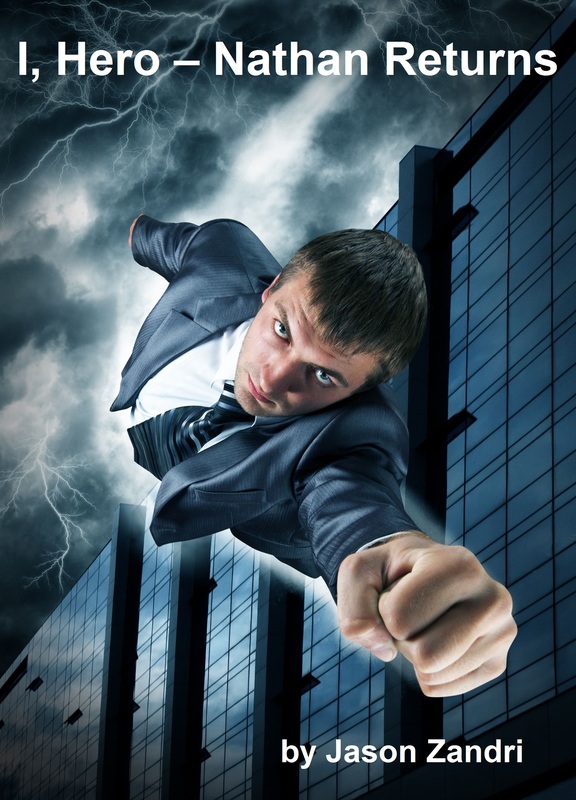 Per my last post, “I Hero: Nathan Returns” Kindle Edition is completed and off to the editor. It is available for pre-order and the title is still set for formal release on September 15, 2015. I am really am excited about the new release and I am looking forward to the continued feedback and reviews. 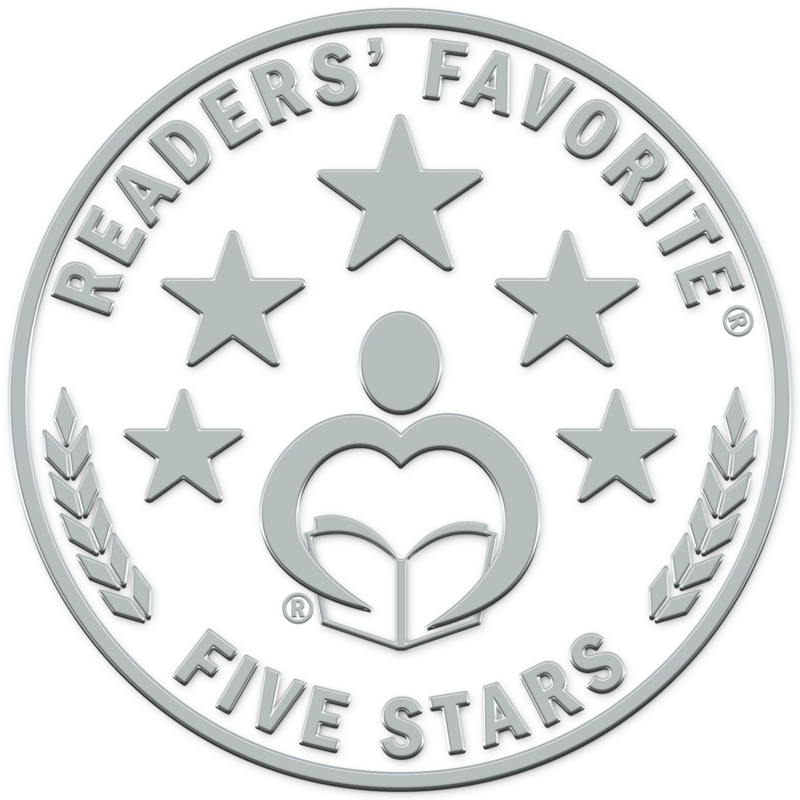 A special thank you to the reviewers for not only the investment of your time and money in my work, but for taking the additional time to offer your thoughts; I really do appreciate it.